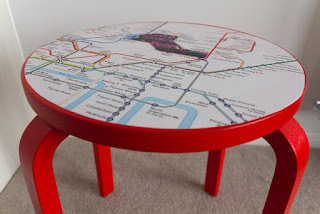 In apartment in London I change the look of the furniture in dining room. 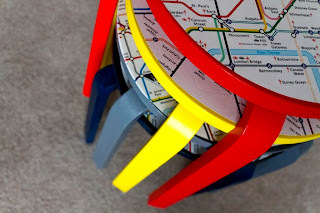 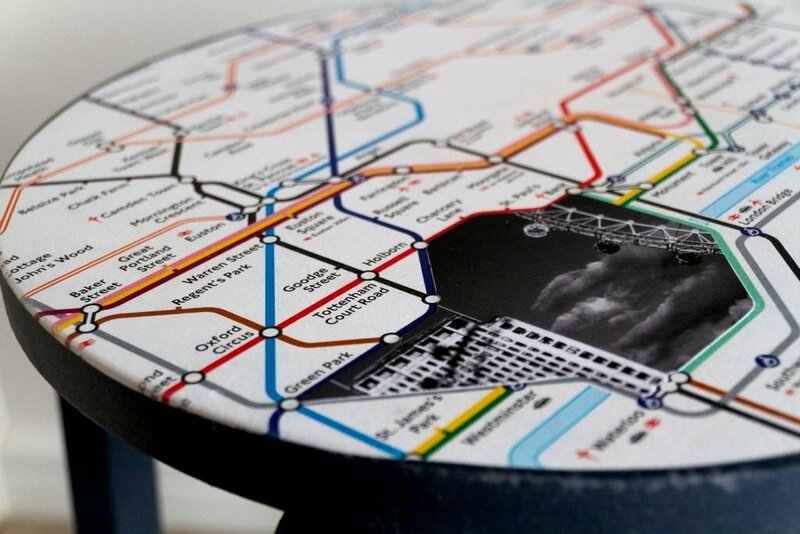 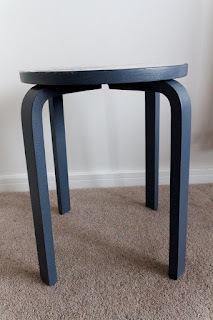 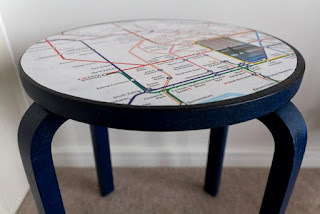 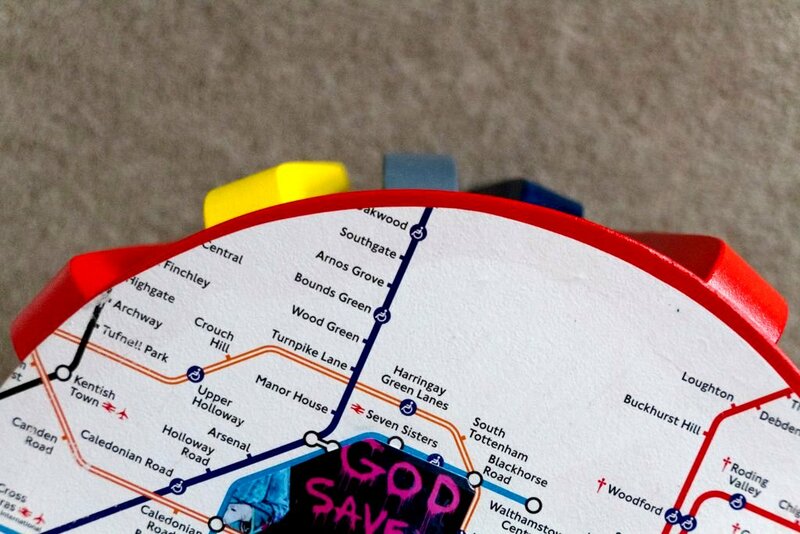 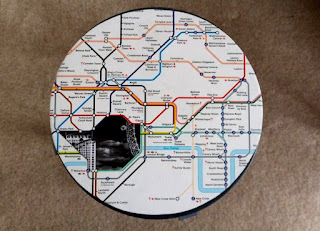 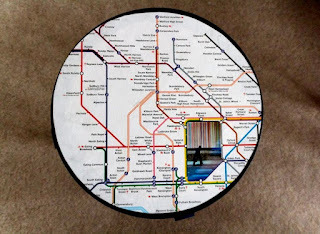 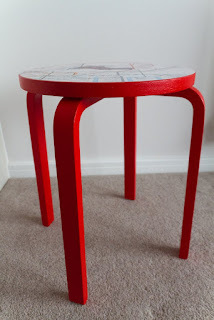 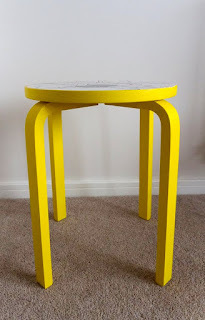 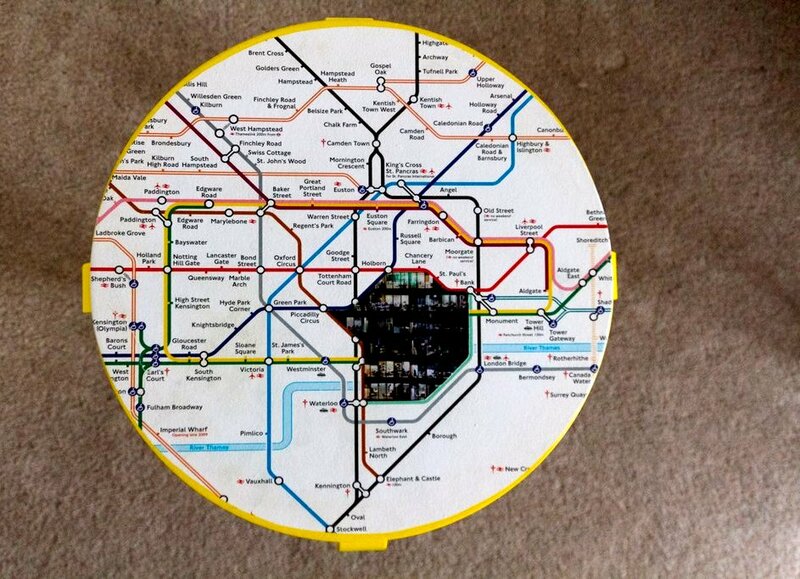 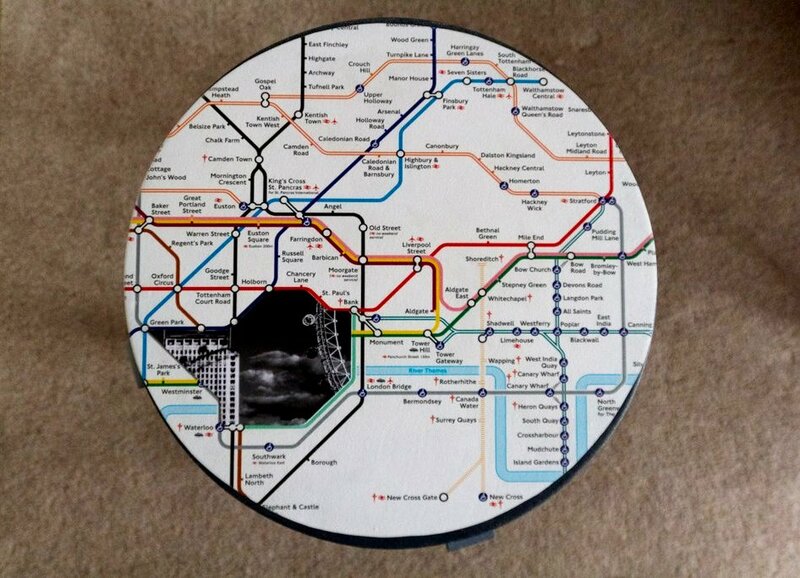 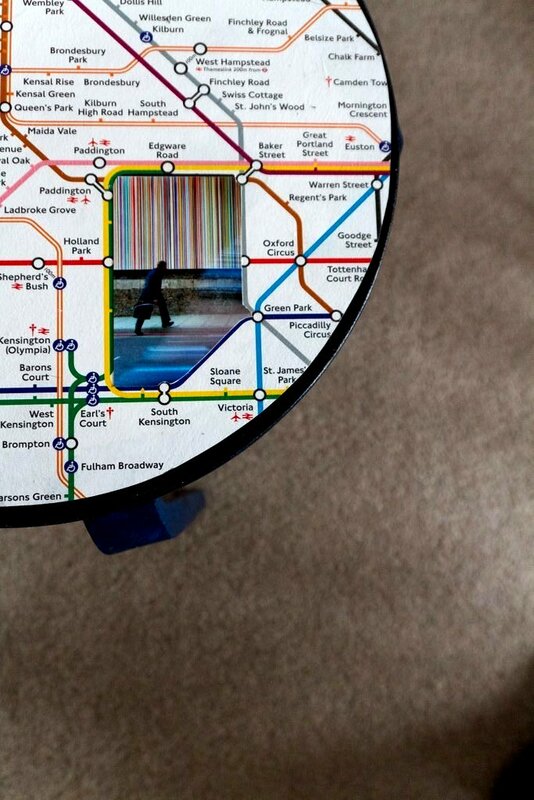 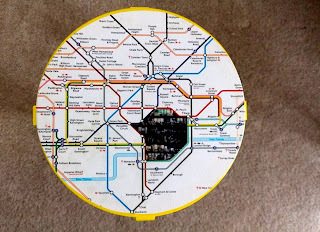 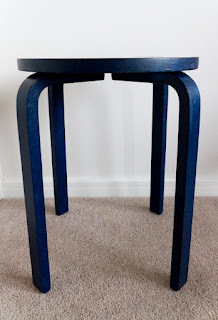 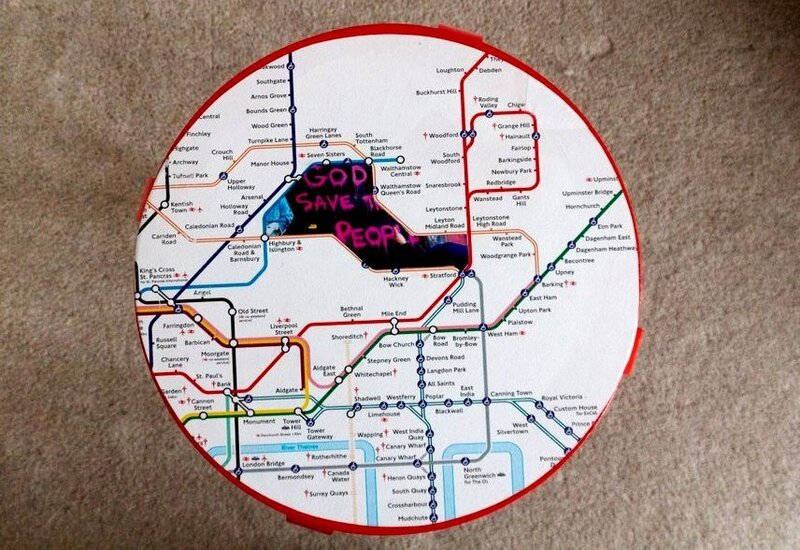 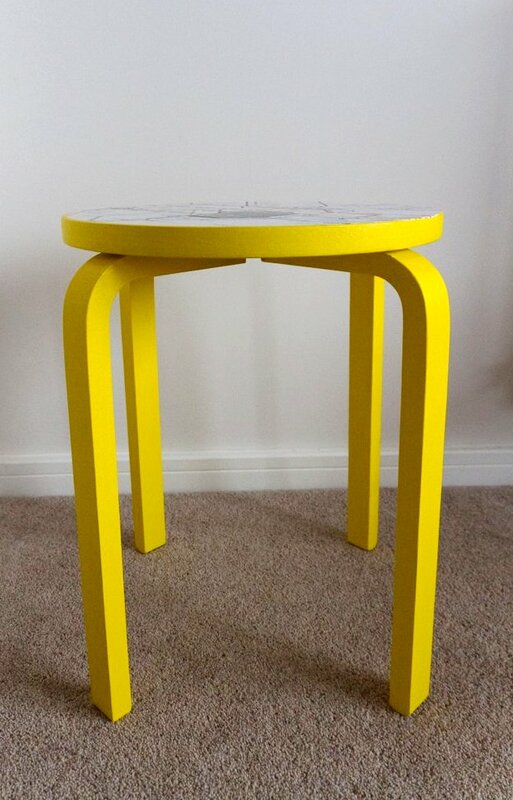 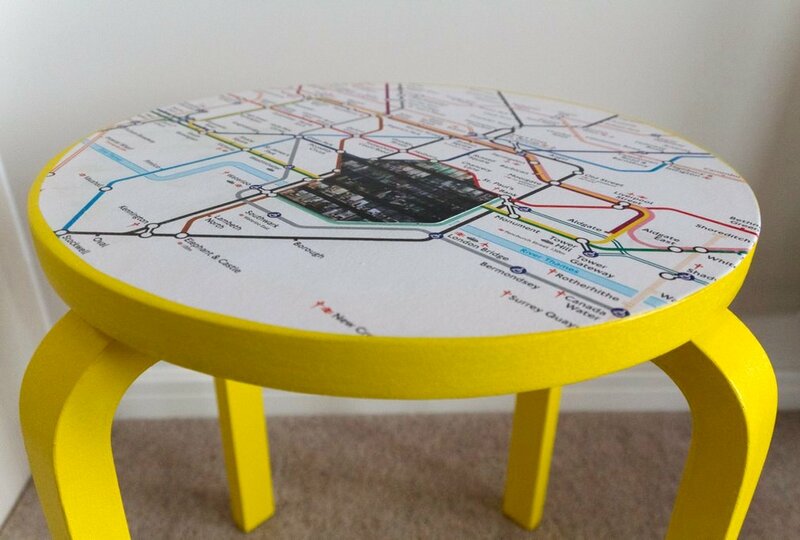 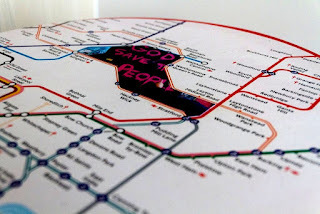 For the series of stools I took an inspiration from the London tube map. 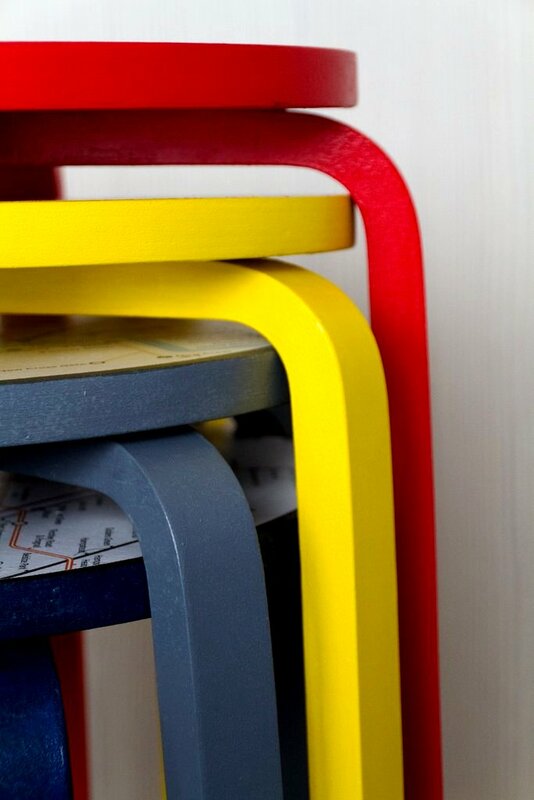 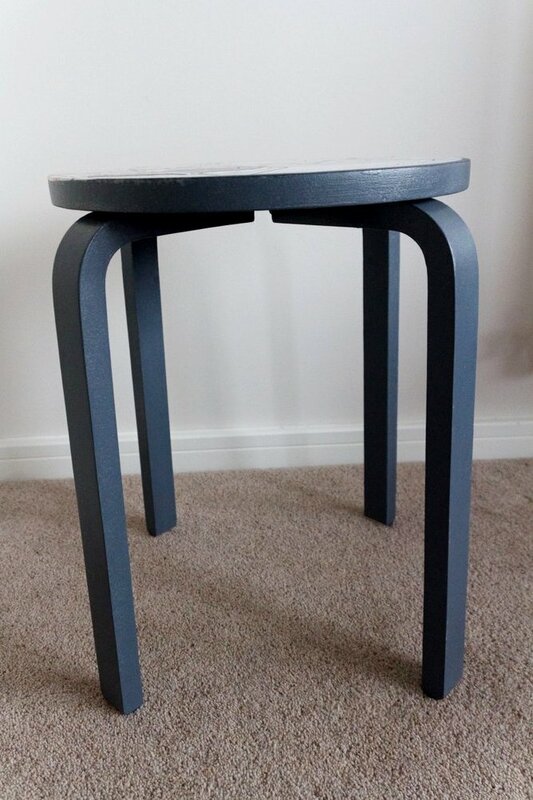 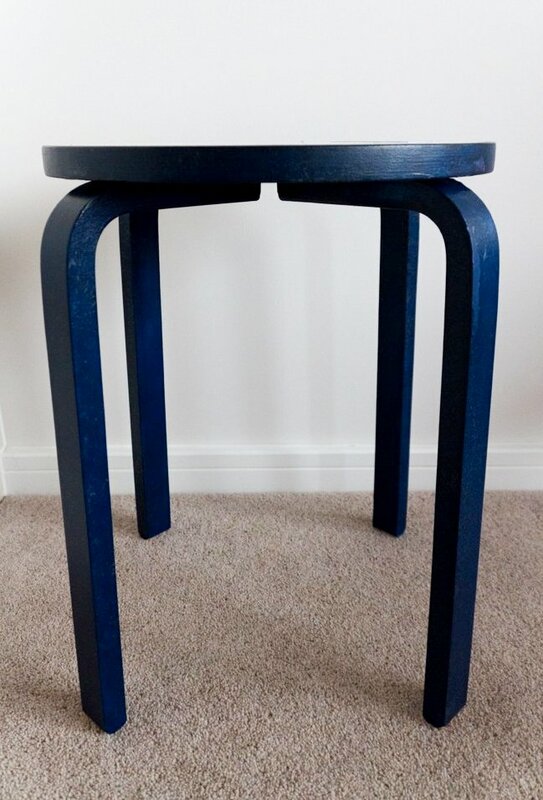 I paint the stools in the colors of metro lines: yellow, red, blue and gray – those lines which are used often by the owners of the flat. In those maps I added pictures of Sławek Kozdras – one of the owners – who made them in London. 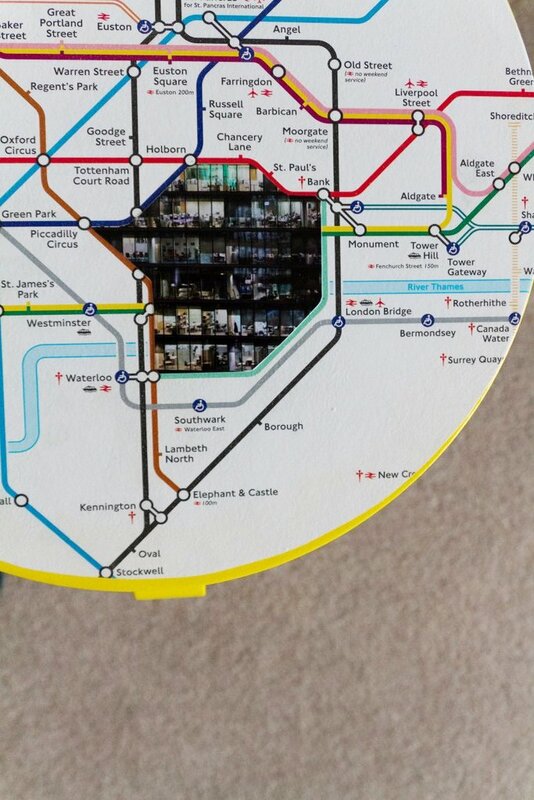 The pictures shows famous places in London.